Firstly, just a little reminder that Sale-a-Bration 2017 ends tonight. You need to order or join before 11pm tonight to take advantage of these amazing offers. 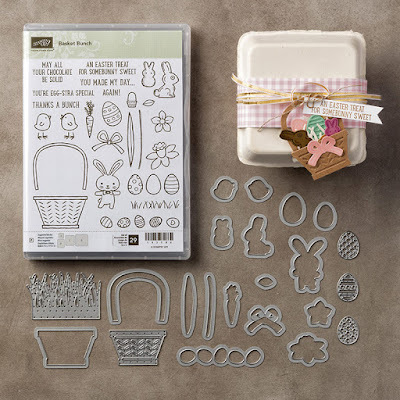 Stampin' Up work on European time so the wonderful promotion ends at 11pm - don't be late and miss out! Secondly, thank you for all the wonderful birthday wishes yesterday, I had really lovely day. Ok - now we can talk about today's project - a really decent sized, woven Easter basket. Well I say Easter, you could use it for so many other things all year round too. It is relatively simple to make if a little time consuming but I think the end result is pretty stunning and so effective. As I said, it is a really decent size - look how it is just over flowing with little eggs - it might not be quite so over flowing now though! 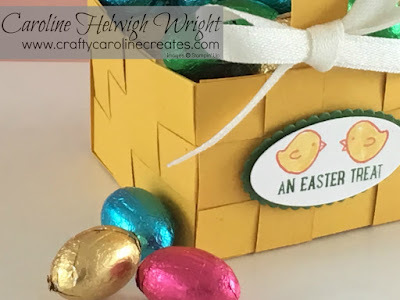 Love those little chicks, those and the sentiments come from the brilliant Basket Bunch stamp set - a great set for Easter but also one which will work well all year round. 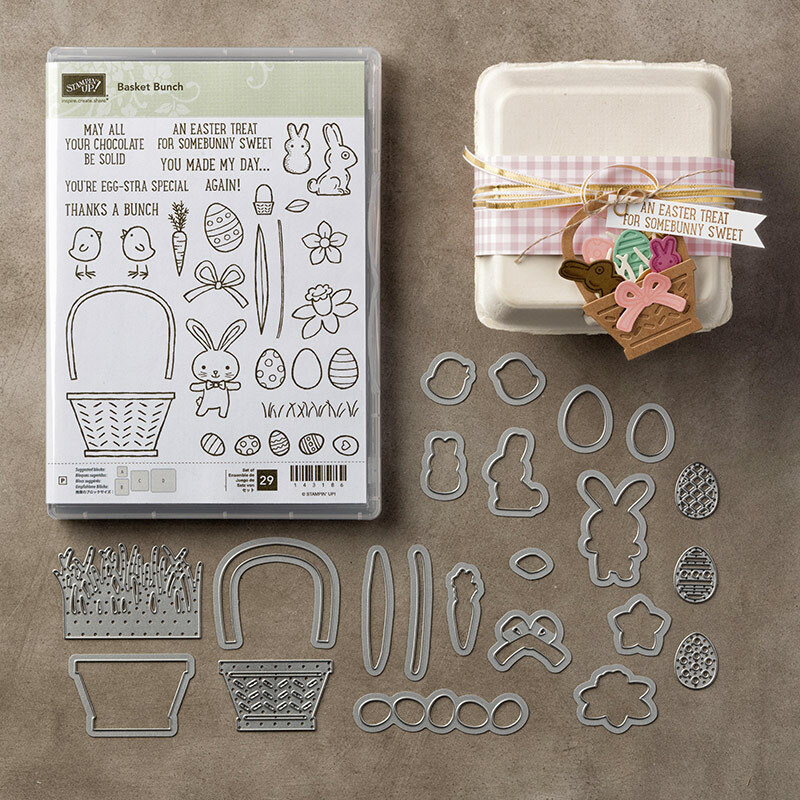 It also has some matching dies so you can cut those little cuties out easily. 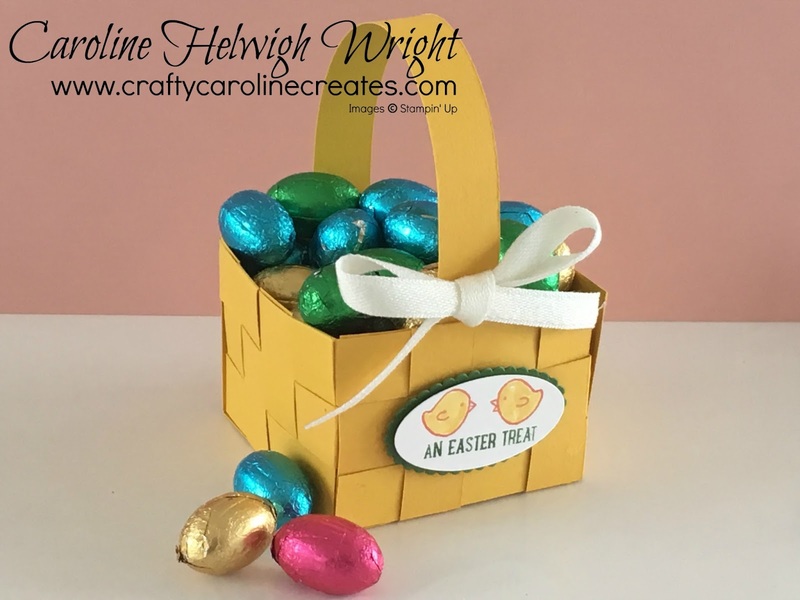 Click HERE to view my tutorial but I warn you, it is a little longer than normal and has a few blooper - but you like those best - right?